If we can have rubbish bins on land, why not have them in the ocean? This thought led to the creation of the Seabin Project, and the installation of the first seabin in Australian waters on World Oceans Day. This morning on World Oceans Day, the Ocean team attended a demonstration of Andrew Turton and Pete Ceglinski’s environmental cleaning device known as the seabin, a filtering bin installed in marinas to catch floating debris, oil and microplastics in the water. This marks the first seabin in Australian waters. 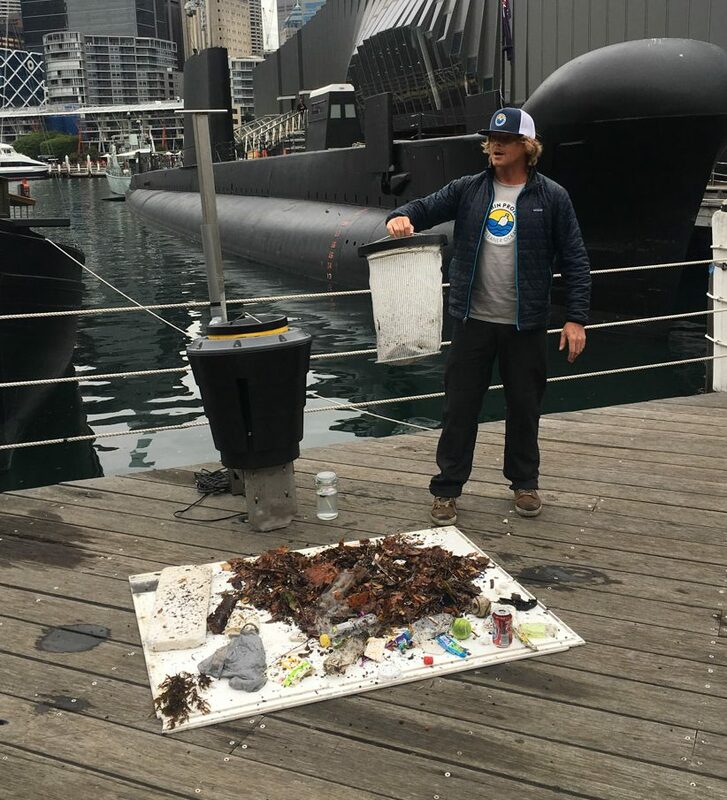 Passionate ecopreneur Ceglinski, CEO and Co-Founder of Seabin Project, trialled the Darling Harbour location overnight before its official installation at 10am. He showed off what the device had caught between 10pm and 8am this morning, a substantial catch. 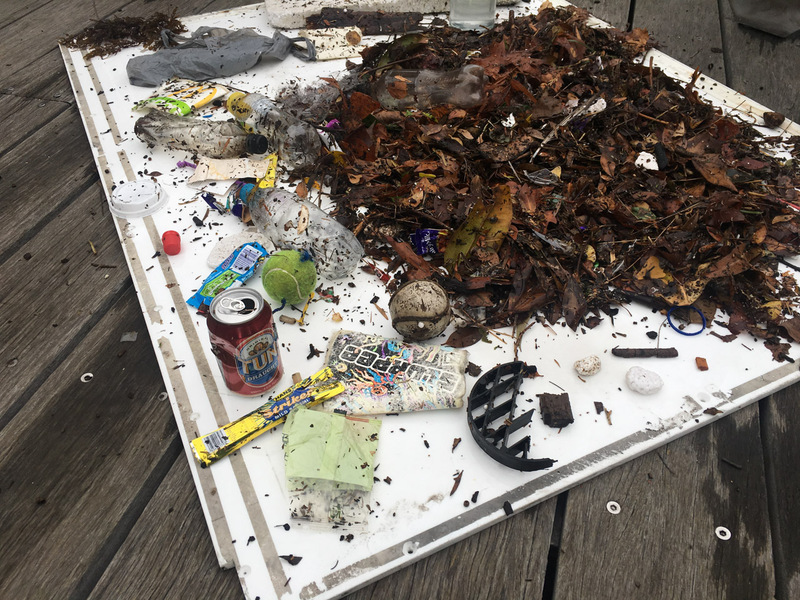 The bin, which works by sucking surface water, filtering and trapping any floating rubbish it contains, can collect 20kg of debris before being emptied, and on average each one nets 2kg of plastic every 24 hours. Globally, that makes an average of 10-15 tonnes of plastic removed by seabins per year. 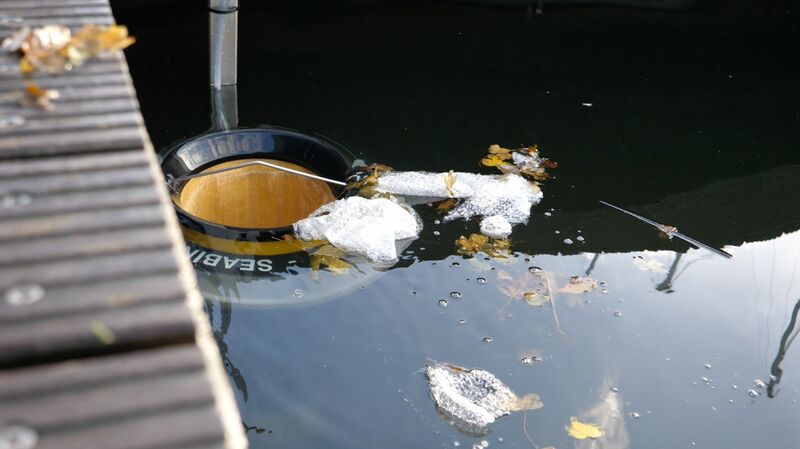 The Australian National Maritime Museum (ANMM) is proud to be trialling Australia’s first ever seabin. Shirani Aththas, the ANMM’s Media and Communications Manager, attended the installation and was impressed with the effectiveness of the device during its overnight trial. She said the duration of their seabin trial is indefinite at this stage. We caught up with Ceglinski in February for the 78th issue of Ocean magazine, when he spoke about his latest goal: harnessing the Seabin Project’s European momentum to make a difference back home on Australian shores. Although Ceglinski and his business partner are Australian, they were living as boat builders in Palma Mallorca when they came up with the idea. They found themselves challenged and inspired by the Mediterranean, with its high concentration of microplastics as well as visible litter. The seabin was also trialled in Singapore’s Sentosa Cove during the Singapore Yacht Show in April this year. Ceglinski says there has been huge demand recently, reporting that in the last month, the company sent 100 seabins to 15 different countries. “Right now, our greatest challenge is to meet this incredible demand, setting up a sales and distribution network,” he said. The Volvo Ocean Race teams took two seabins around the world, installing them in 13 countries so that school students and scientists could get involved in analysing the debris, as well as crowdfunding for their local marinas to install the device. Ceglinski reported that the America’s Cup organisers have also ordered two seabins for use during the upcoming edition. Currently the smallest piece of plastic the seabin generally catches is 2mm in length, but Ceglinski says they often see particles as small as 1mm. Currently the team is testing a second stage, extra-fine filter for impact. Eventually, Ceglinski has plans for seabins that can be attached to fixed docks rather than fixed to floating pontoons, then he wants to develop units that float free and return via GPS location, followed by eventual plans to develop seabins that work in the open ocean. The race is now on for the first Australian marina to install a seabin and keep our waters clear of mismanaged waste.